They say that Tokyo Disneyland is sort of like a time capsule, because with the exception of select areas, a lot of the park still looks much as it did when it opened in the 1980s. And although projects such as the Fantasyland expansion are bringing some fresh life to the park, other areas, like much of Tomorrowland, still retain that outdated sense of futurism that has actually come around and become charming for its nostalgia of a tomorrow that never came to be. I love the space trusses and the white concrete with glass, and the blue paint scheme that blends so well together. The pattern seems to take its palette inspiration from the sky, which makes the composition below rather fitting, doesn't it? 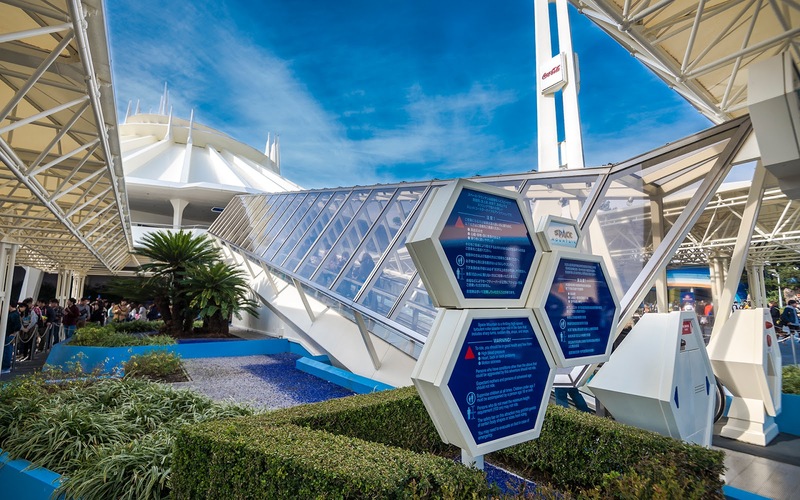 Tokyo Disneyland Space Mountain has an iconic and very retro entrance procession.